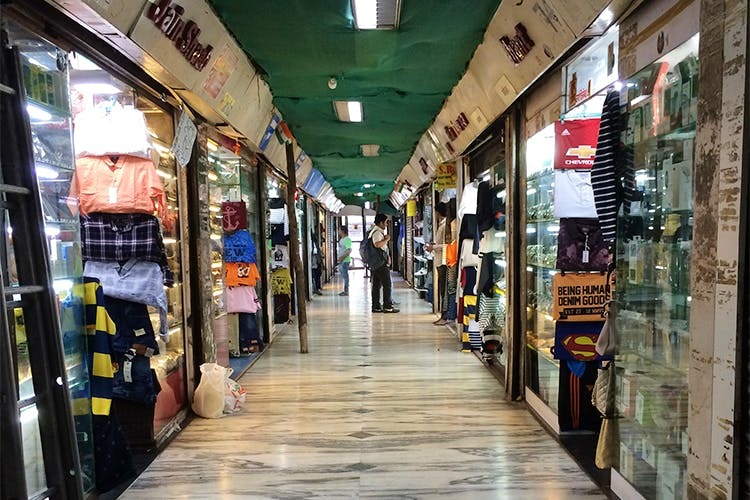 A shopper's paradise, a tourist's go-to spot, and a haven for electronics, gadgets and perfumes, Heera Panna Arcade is to Mumbai, what Connaught Place is to Delhi. Possibly one of the first grey markets to pop up in the the shopping sphere, Heera Panna has gradually evolved with time. The entrance has a tight security, and the whole market has a centralized A.C. People mostly hover around the shops inside for their electronic needs, and for cheap perfumes. But its way beyond what the eye sees. With its endless corridors and shops, we have decoded what all you can really get at Heera Panna, and if it’s worth a trip. A shopper's paradise, a tourist's go-to spot, and a haven for electronics, gadgets and perfumes, Heera Panna Arcade is to Mumbai, what Connaught Place is to Delhi. Possibly one of the first grey markets to pop up in the the shopping sphere, Heera Panna has gradually evolved with time. The entrance has a tight security, and the whole market has a centralized A.C. People mostly hover around the shops inside for their electronic needs, and for cheap perfumes. But its way beyond what the eye sees. Read on. From marshmallows to raspberry and peach marmalades, for only INR 200, Heera Panna is a hidden gem for sweets, and imported chocolates. Toblerones, Hershey's, Guyllian, Mars and Cadbury, the shops inside have it all. You won't come back empty handed if you go there, we can vouch for that. Gucci and Chanel, you name it, and you get it at Heera Panna. Patrons can find local as well international perfume brands, and even though the price may not differ as much as they tend to sell them at the MRP, there is always a scope for bargaining. Heera Panna is known more for its electronic gadgets, especially the mobile phones. With its notorious reputation of getting the latest models and soft wares even before it hits the official stores, a lot of stores here will offer you some kind of discount. Find phone covers starting at INR 150 upwards, to USB sticks, hard disks, phones, and more. Expect crazy discounts on gadgets, and phone. And make sure you're loaded before you go because they either accept cash or Paytm. Also,think twice before clicking a photograph.